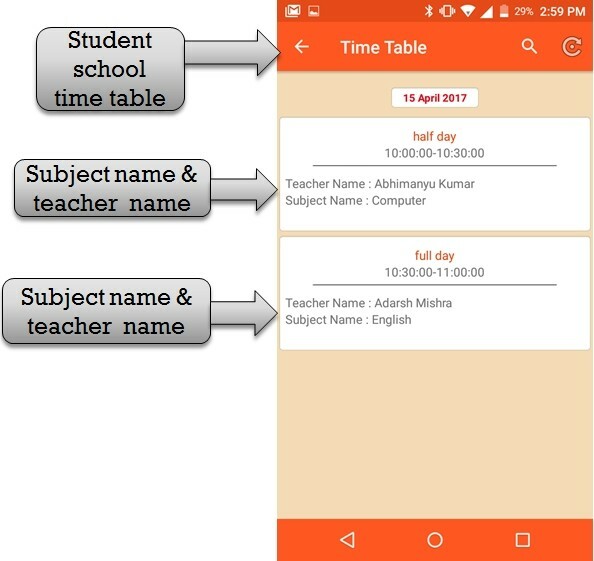 step:1st -ZeroERP School management App Software – School Management Software helps in creating time table for students . select time table option then check school time . 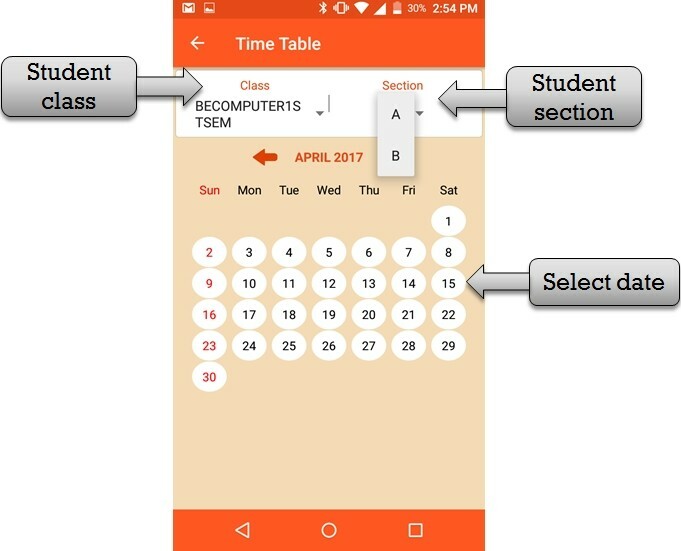 step:2nd -ZeroERP School management App Software – Please select class name and section name and select date school time table display . school time table software is vary easy to use every one . 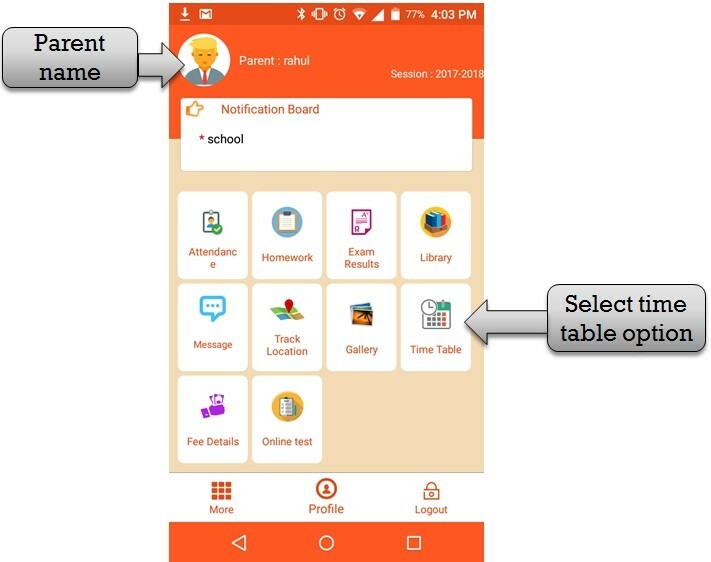 step:3rd -ZeroERP School management App Software – Parent check Student time table slot (half day /full day) and slot time then view slot teacher name and subject name .